My name is Julia Marsan and I started this site. Our family tree is posted online on this site! There are 3468 names in our family site. The site was last updated on Oct 27 2017, and it currently has 6 registered member(s). If you wish to become a member too, please click here. Enjoy! Margaret Goodwin submitted a request to become a member. submitted a request to become a member. Julia Marsan invited marlene tolson to the site. Julia Marsan updated the details of Grace Reakes (born Garland) , Simon Carpenter , John Sims and Ann Dunning (born Carpenter) in family tree Moore family tree July 2011. Julia Marsan invited Geoffrey Davies to the site. Julia Marsan invited Robert Danks to the site. Julia Marsan upgraded the site to the PremiumPlus plan. Julia Marsan imported a family tree from a GEDCOM file: Moore family tree July 2011. 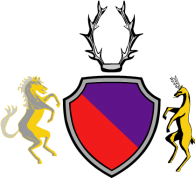 Horler, Rushdon, Wolfendon joined the site. Rhonda Hobbs joined the site.